If you are a scholar and like lots and lots of references to peruse, you might like this book.However, if you are somebody who enjoys reading history in a non-academic form, you might find this book mind-numbingly boring.I could barely get through the first 100 pages and pretty much gave up after that. I love history and am always looking for great stories; this isn't one of them. Do not expect to read much about Kaiser Wilhelm II in this book.The title is quite misleading---it is about the era of Wilhelm, but few details about him are included here, esp. his role in WWI. 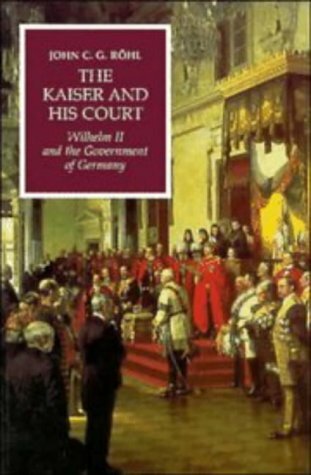 This book is a very interesting look into the theory and practice of government under Wilhelm II - particularly in those years of "personal rule" after the dismissal of Bismarck from the chancellorship. The book is essentially a collection of essays devoted to various issues involving the Kaiser and his government. So while it is not structured like a conventional history of this era, or a biography of the Kaiser, an abundance of historical and biographical information is presented. 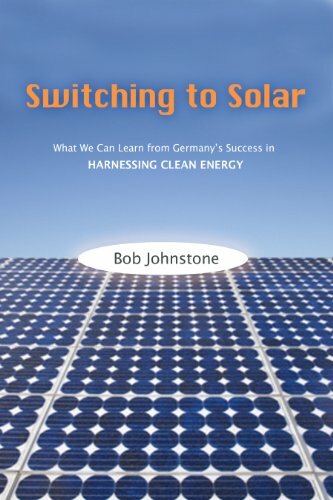 I enjoyed this book very much - it is very well-written and was a pleasure to read. 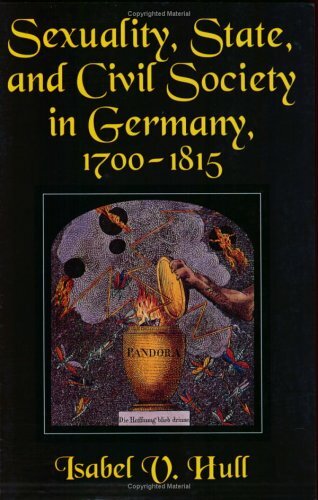 I think anyone interested in this period of German/European history will find reading this book well worth the effort. 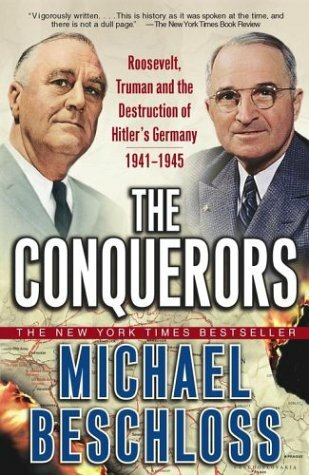 A New York Times bestseller, The Conquerors reveals how Franklin Roosevelt's and Harry Truman's private struggles with their aides and Winston Churchill and Joseph Stalin affected the unfolding of the Holocaust and the fate of vanquished Nazi Germany. Long before an Allied victory was assured during World War II, the Big Three--Roosevelt, Churchill, and Stalin--began discussing how to prevent Germany from ever again threatening the world. The fact that Germany today is a peaceful, democratic ally of the U.S. is "one of America's great twentieth-century international achievements," writes esteemed historian Michael Beschloss. How such a transformation was accomplished is the subject of The Conquerors. Drawing on thousands of previously unreleased documents, secret audio recordings, private diaries, and other information recently made available, Beschloss details the complex diplomacy between the Allied leaders, including their differences over whether to demand Germany's unconditional surrender; how, if at all, to divide Germany after the war; and how to effectively punish Germany without creating the kind of resentment that led to the rise of Hitler. The relationship between the three leaders, and later, Truman, is fascinating, as Beschloss reveals private conversations, ulterior motives, and numerous back-channel deals that took place. Of particular interest is the maneuvering of Roosevelt and Churchill, who were both concerned that the Soviets would attempt a postwar power grab in Western Europe if given the chance. The book also deals with Roosevelt's reluctance to deal with Germany's systematic extermination of the Jews, and the role that his old friend and Treasury Secretary, Henry Morgenthau, Jr., played in pushing the President into action. After learning of the Holocaust, Morgenthau became obsessed with punishing Germany severely, drafting a plan that called for the complete destruction of their mines and factories as a way of forcing Germany into subsistence farming--ideas that put him at odds with Secretary of State Cordell Hull, Secretary of War Henry Stimson, and many others in the administration. Thoroughly researched, sturdily written history of how Roosevelt and then Truman planned to deal with a defeated Germany after World War II. Nothing earth shattering, but interesting and detailed insight into how policy got made and how it could have gotten made worse. Also of interest is discussion of Roosevelt's silence on the developing Holocaust as news seeped out to a stunned and horrified world. Any book about WWII, American History, and U.S. Presidents is an automatic read for me because they are my favorite subjects.That is why I am still perplexed about how Mr. Beschloss could have messed this one up.The story is told from people's points of view rather than independent investigation.I stopped reading about a quarter way through and passed it on. Michael Beschloss's study of the Allied management of the end of World War II with Nazi Germany serves as a reminder that things are not always as obvious as they seem. At first glance the goal of hostilities in Europe could easily be summed up as the defeat of Hitler and Nazi Germany's Axis allies. But how does one define "defeat?" Is it territorial annihilation, Sherman to the Sea on a more massive scale? Is it discredit or even elimination of the warring military leadership? Is it national humiliation? Or is it business as usual in the conquered territories under Allied overlords, as would be the case of Japan? This work is the story of how the United States, in concert with its allies, gestated its final plans for the conquest of Germany. One naturally gravitates toward Franklin D. Roosevelt as the leading man for such a drama, but in truth this book, like the events themselves, pivots around the persona of Treasury Secretary Henry Morgenthau, Jr. That Morgenthau was Jewish, one of few of his faith to achieve such status to that time, adds poignancy to the tale. Beschloss describes Morgenthau as perhaps Roosevelt's closest friend in the cabinet, a bond developed over their years together as neighboring self-styled gentlemen farmers in Dutchess County, NY. Despite Morgenthau's perceptions and desires, it was not exactly a friendship of equals. As was his wont, Roosevelt managed his communications with Morgenthau in the ethereal fashion of all his working associates. In truth Morgenthau enjoyed cabinet status because of difficulties Roosevelt had encountered earlier with the scrutinies of more independent men in the Treasury, Dean Acheson among them. His affection for Roosevelt notwithstanding, Morgenthau felt a particular responsibility to Jews under persecution in Nazi occupied territory. Early in the conflict Morgenthau had focused upon relocation of Jews from Germany and elsewhere, but as the War unfolded and the scope of atrocities became gradually evident to policy makers, Morgenthau pressured Roosevelt to make rescue of Jews a major priority during the engagement. Such considerations collided with concurrent Cabinet debate about the status and treatment of postwar Germany. This was not a matter of hawks and doves as much as a question of priorities. Instinctually, most policy makers wanted a hard peace for both military and punitive reasons. The question was how much of Germany's industrial infrastructure to destroy or spare in response to its crimes, a critical matter as 1944 hurried into 1945. By 1944 Winston Churchill had his fill of German militarism and would gladly have endorsed a Shermanesque solution to the German problem. Living through his second major encounter with the German military machine, he advocated utter annihilation of the nation's infrastructure, including its factories in the Ruhr Valley. Joseph Stalin, ever fearful of his west flank, would easily come around to Churchill's position as well, motivated not only by a will to survive but an opportunity to expand Communist hegemony. Morgenthau, despite his closeness to Roosevelt, was gradually losing place in the Cabinet. His peers believed that his Jewish faith and priorities blinded him to other military, political, and economic issues that worried them, and with reason. Beschloss makes splendid use of official minutes and private diaries to trace the strategic shifting going on around Roosevelt--insights into the concerns and motivations of Henry Stimson, Cordell Hull, and particularly John McCloy, who at the end of the day would probably do the most to derail Morgenthau's postwar vision. Roosevelt's 1944 Quebec meeting with Churchill, with Morgenthau in attendance, convinced the latter--wrongly, as it would turn out--that his boss and the Prime Minister were solidly behind his call for a hard and vengeful peace, the Morgenthau Plan. He returned home entirely justified, so much so that he felt emboldened to steer certain aspects of his peace plan toward the Washington Post, with added hints of opposition among certain cabinet members. The fallout from public disclosure ignited massive political difficulties in nearly every quarter. Joseph Goebbels jumped upon Morgenthau's plan as evidence that Allied strategic planning was aimed at reducing Germany to the stone ages. Morgenthau was blamed for stiffening German resistance and costing American lives. Thomas Dewey, then running for president in the 1944 campaign, jumped upon the strategy ["as useful as ten fresh German divisions"] and the now apparent disarray of the cabinet. Roosevelt distanced himself from the plan and from its author Morgenthau, a painful and humiliating blow for the latter. Mercifully, Morgenthau was unaware at the time that his own closest confidant, Henry Dexter White, was a Russian spy. The Battle of the Bulge, reported by American intelligence sources as a German response to the Morgenthau Plan, was probably the last straw that ended his influence upon conduct of the war. But other factors were weighing heavily upon the Allies. As western armies began crossing into Germany itself, the enormous damage already wrought upon the country's substructure made it clear that economic chaos and starvation were very likely at the conclusion of hostilities. All parties to the conflict, and notably England, were heavily in debt. The idea of a post-war German welfare state worried the international business community [except, ironically, America's own chief treasury officer.] To destroy the existing mines and factories of the Ruhr Valley, for example, seemed less and less desirable. In addition, growing concern in England and the United States about Russian post-war ambitions led to a grudging recognition that Germany could not be entirely demilitarized. On the other hand, Germany's heinous crimes of the half-century called for an appropriate response. Beschloss captures the dilemma of policy makers, torn between pragmatic and humanitarian concerns in the partition, punishment, and reorganization of Germany. The author presents his well researched account in a style marked by intimacy, immediacy and movement. He gives us another vantage point of the War. Assuming that we know something of how it was fought, Beschloss explains how it was ended--and how it could have ended. I was quite disappointed in this book. The first 3/4 seem to be spent as Henry Morgentheau vs. Everybody in the Roosevelt Administration, and all it is how Roosevelt can't decide or won't commit on the Morgentheau plan while everybody else tries to persuade him otherwise.It picks up a little when Truman takes over, but not a great deal.It has enlightened me as to how all of this unfolded, but, in my opinion, could have been much better.I don't know if there's a better alternative. * policies towards women, youth and culture. In Sexuality, State, and Civil Society in Germany, Isabel V. Hull argues that the philosophical and legal arguments surrounding sexuality, in terms of what were legal and illegal, moral and immoral, sexual relations, was a key element to the development of political identities in post-enlightenment Germany. She draws most of her evidence from various Bavarian legal codes, as well as the writings of influential thinkers, such as Johann van Justi and Immanual Kant and political reformers like Anselm Feuerbach and Napoleon. Using these sources, Hull concludes that the legal codes as well as the social pressure exuded by a burgeoning civil society formed a conceptualization of citizenship that was based on heterosexual relations within marriage. In effect, Hull's book demonstrates that rather than existing in separate social and analytical sphere, sexuality was fundamentally connected to political issues. While her prime interest is the relationship between sexuality and politics, her secondary arguments are just as important. In analyzing local and national laws and practices, Hull concludes that the 18th century was not a period of institutional centralization; local governments on the municipal and provincial level were still permitted considerable leeway in enforcing and developing the policies that regulated their populations. Also, she collapses the distinction between a public and a private sphere, arguing that especially when considering the importance of bedroom behavior to political matters, the private was public and vice versa. In this case she is directly challenging Jurgen Habermas' early theoretical distinction between the public and private. Additionally, she cites the growth of a civil society that pressured the official domain of the state as a key step in Germany's overall political transformation. Hull argues that the civil society's dissoanate voice debated and shaped enlightenment- inspired ideas, especially those regarding sexuality and citizenship. 6. 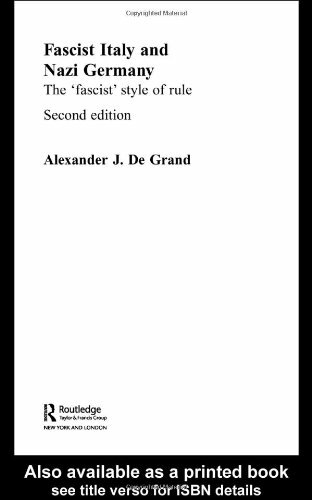 The Constitutional Jurisprudence of the Federal Republic of Germany, 2nd ed. 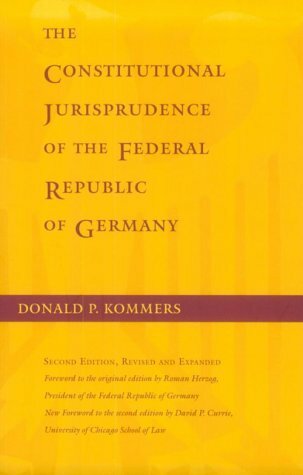 Kommers’s comprehensive work surveys the development of German constitutional doctrine between 1949, when the Federal Constitutional Court was founded, and 1996. Extensively revised and expanded to take into account recent developments since German unification, this second edition describes the background, structure, and functions of the Court and provides extensive commentary on German constitutional interpretation, and includes translations of seventy-eight landmark decisions. These cases include the highly controversial religious liberty and free speech cases handed down in 1995. 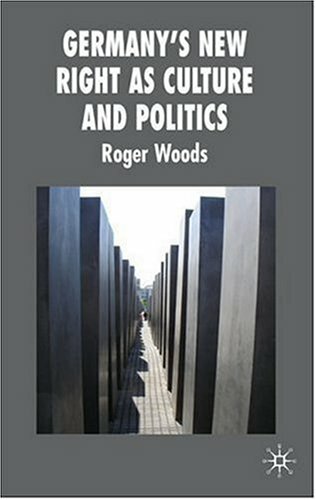 Germany's New Right as Culture and Politics is the first full-length study in English of the New Right in Germany and it breaks new ground by considering the New Right as both a political and a cultural movement. This approach reveals the problems that arise when a political movement seeks to embrace culture as the foundation for a political programme. The book examines the often contradictory motives that feed into New Right political pronouncements and explores the cultural thinking that feeds into extreme political commitment. Professor Herf's attempt to deal with the memory of Nazism in the former halves of Germany gives too much whitewash to the West and lays too much tar on the East.The underlying theme seems to be which half did most to support Israel in the cold war, than who actually came to grips with the legacy of Nazism in postwar Germany. Herf would have us believe that Adenauer opened the door to reparations and reconsiliation in West Germany; yet by Herf's own description Adenauer weathered the Nazi regime pretty well, protected by his fellow conservatives who actually ran the Nazi state on a daily basis after 1934.At no time did he speak out against Nazi barbarities in Germany or abroad. These favors were reciprocated when ex-Nazis needed peace and shelter after the war and found it under his wing.Adenauer came into brief conflict with Nazidom only after 20 July 1944, when like many nationalists he tried saving the German state from Hitler's sinking ship.The postwar public honors for the executed military conspirators proved no barrier to rehabiliating their executioners as a condition for creating the Bundeswehr.Chancellor Kohl's subsequent disgraceful performance at Bitburg, in a rising tide of nationalist self-justification, shows that it was the West's anti-establishment critics who truly pushed the Holocaust issue forward in West German public life. The East was deserving of criticism also, as anti-Zionism was a back door through which some former Nazis could find a nest in the "anti-fascist state. 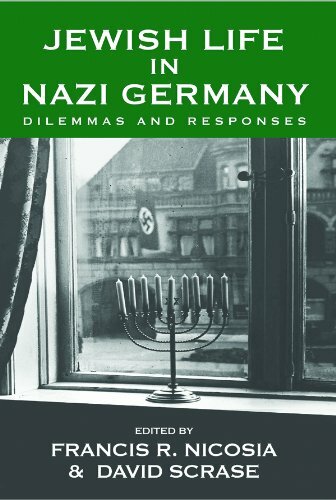 "But conflating the GDR's anti-Israel policy with attitudes to the Holocaust slights the fact that most unrepentant ex-Nazis, blood on their hands or not, found their most congenial shelter in the West, to resume their business and professional careers unruffled by de-Nazification.The West's "coming to terms with the Nazi legacy" had more to do with American influence and cold war alliances and the rise of Holocaust consciousness in the general western consensus than any true coming to grips with the roots of Nazism in German society. While this work does have useful information on postwar German society, its loaded emphasis on the failings of the East, and its willingness to buy West German public pieties at face value, marks it as a work of the cold war era than of post-Nazi memory. A previous view has mischaracterized this work as one that deals with attitudes toward Israel. 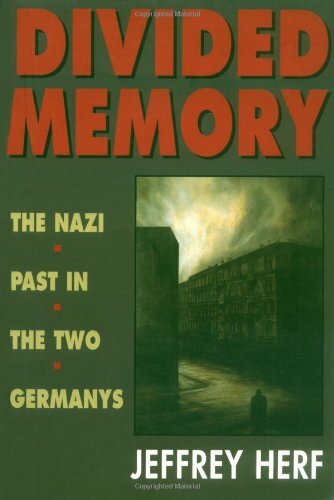 The primary purpose of this book is the role of the Holocaust in memory among the respective West and East German elites following World War II. It is not a broader work on social history, which one could argue needs to be done, but criticizing someone for the book he didn't write is misplaced. Herff's arguments center around the coming to grips with the Holocaust in politics in the two German states. He asserts, correctly, that East German leaders chose to adopt the Marxist line that WWII was a fascist war, and the Holocaust a product of fascism rather than racism. The leaders did so in order to portray the installed Stalinist state as the legitimate government in eastern Germany and being utterly disconnected from the Nazis. The result was a whitewashing of historical memory, portraying Jews and other minorities as virtual martyrs of the East German state. Herff further argues, and places blame, on West German leaders for failing to engage the Holocaust. However, he points out that Karl Adenauers efforts to engage conservatives on this issue was a forward-thinking move, and ultimately salvaged West Germany on this issue. Ultimately, the issue of the two Germanys and Israel has to do with the evolution of historical memory rather than philo-semitism or philo-nazism. This book will be useful for those seeking to understand the role of memory in WWII and the Cold War. 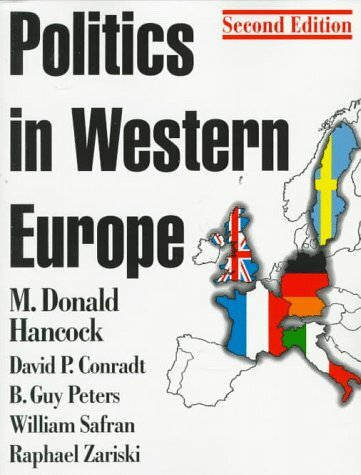 The textbook contains a great deal of relevant basic information on politics in Western Europe. Unfortunately, it needs to be better organized. This goes for the organization of chapters and organization within the chapters. 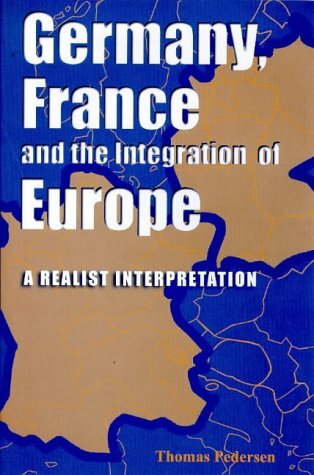 I used it in my Western European Politics class, but students did not respond favorably. The textbook sometimes picks up a topic without any obvious reason for doing so, and then, having said a few sentences about it, leaves it off, also without any obvious reason. This makes individual chapters hard to follow. 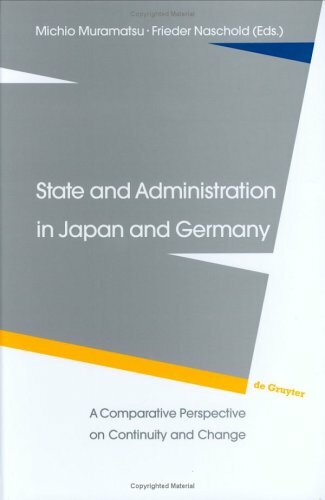 The unprecedented influence of United States military governments in Germany and Japan makes this volume a funda­mental contribution to several basic fields: history, political science, eco­nomics, archival administration, mil­itary studies, civil affairs, and inter­national law and criminal justice. In recent years governments have increasingly given their central banks the freedom to pursue policies of price stability. In particular, the German Bundesbank and the U.S. Federal Reserve have been widely considered models of autonomous policymaking. 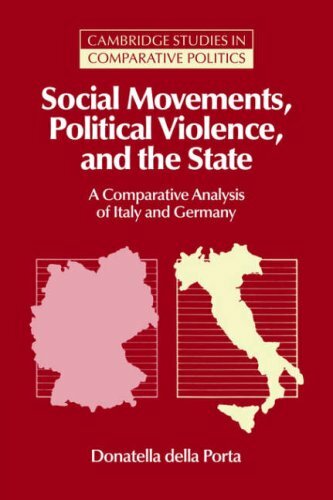 This book traces the origins of their success to the political struggle to adopt monetarism in Germany and the United States. 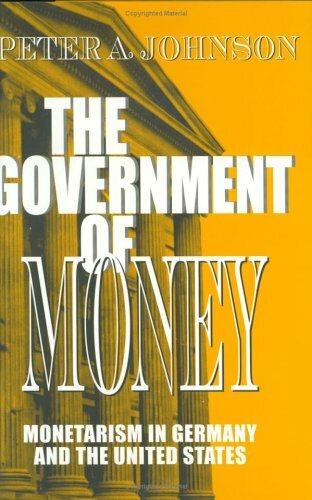 The Government of Money contends that the political involvement of monetarist economists was central to this endeavor. The book examines the initiatives undertaken by monetarists from 1970 to 1985 and the policies that resulted once their ideas were enacted. Taking a historical approach to major issues of political economy, Peter A. Johnson describes both the political efforts of the monetarist economists to convert central banks to their preferred policies and the resistance offered by traditionalist central bankers, politicians, and financial and labor interests.